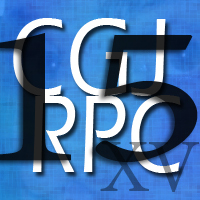 CGJRPC Episode 15 | Goals, Kevin Smith and a Party Time Anouncement! Still winging it but hey, we are getting better… Today we announce the plans for the Darkives Anniversary Party and discuss what we want out of the podcast and what Dale Dudley said to Kevin Smith about us. April 2, 2011 in Can't Get a Job on the Radio Podcast, FEATURES, PODCAST.